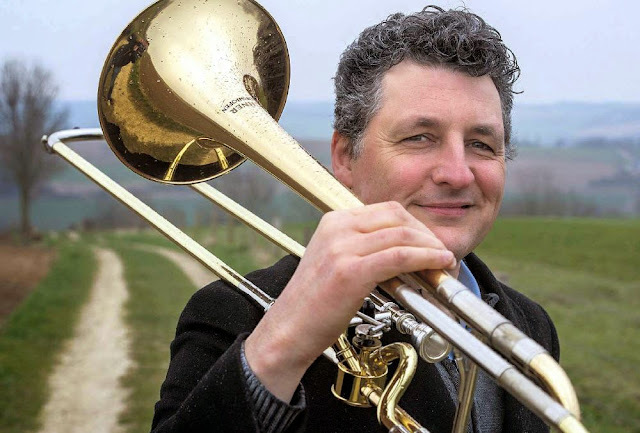 With pain in my heart I have to report you that Ruud Merx, André Rieu's 47-year old trombone player did not survive his cardiac arrest. Dutch news media are reporting for a few hours now that Ruud died today, December 22nd 2016, in Maastricht's Academic Hospital. My thoughts and prayers are with Ruud, his wife and children and other family as well as his "musical family" André Rieu and his JSO collegues. The trombone balancing act has come to a halt forever. R.I.P. Ruud!